If you have followed the standard government health advice all your life then you’ve been eating a so called “healthy” diet. You’ve followed the NHS Eatwell Plate (1) from the beginning, and were always told supplements were unnecessary as long as you ate a balanced diet (whatever that means). Some people are shamed into avoiding supplements by friends and family with statements like “So you’re too lazy to eat real food? You think you can fix everything with a pill or a powder?” We all have those health conscious friends, with no real knowledge, who decry supplementation as a waste of time and money. They are confusing drugs with nutrients. They absolutely are not the same thing. Grains, legumes, and most forms of modern dairy are not nutrient filled foods. The purpose of consuming food is to nourish the body and mind and these foods do the opposite. For starters, all grains, legumes, and standard dairy are nutrient deficient as they contain extremely small amounts of nutrients, many of which are malabsorbed. Grains and legumes actually deplete nutrient stores (3) and interfere with your bodies ability to absorb nutrients (4) They are toxins in themselves, which increases your nutrient needs. Grains and legumes both cause intestinal damage which further decreases your bodies ability to absorb nutrients (5). Even if you’ve stopped eating these foods, you may be in nutrient debt or have lingering intestinal damage which is interfering with nutrient absorption. More on damaged, inflamed, leaky gut syndrome in another post and ways to manage the painful symptoms of digestive disorders with self hypnosis. Your body needs nutrients to deal with all the toxins you are exposed on a daily basis. When more toxins are present, you need more nutrients. Back when we lived in caves it was less of a concern because the air and water was not polluted like it is today. Sadly you’re exposed to a multitude of toxins in the air, water and food on a daily basis. Xenoestrogens (plastics, BPA, some moulds, petroleum products). Our bodies aren’t designed to deal with these toxins using only nutrition from food, in fact they’re not designed to deal with them at all as they are negative by products of our scientific evolution in mass production to meet the demands of a growing population. So if you plan to get your nutrition only from food, you should plan to get used to ingesting and absorbing toxins on a daily basis. Good luck with your health of that’s what you decide. Food toxins (not a problem if you’re eating the Brain2Body System and using Synergy nutritional supplements). Stress and lack of sleep. These two natural nutritional supplements are made from plant, fruit and herb sources, Phytolife helps you return your body back to a PH neutral, healthy alkaline state and Mistify is a high powered antioxidant that boosts your immune system and fights the effects of free radical damage. There are hundreds of other sources of unnatural stress that increase the body’s need for proper nutrition. Even if you’re doing everything you need to be doing – it’s almost impossible to get all of your nutrients from food, because they lack the nutrients we need these days. There are numerous studies that have shown that children need more nutrients to support their continuous growth, and older people need more nutrients due to malabsorption. As people age, they often begin taking medications which again can interfere with their nutrient absorption. This means that as you get older you need to take more nutrients in the most absorbable form possible in order to maintain your optimal nutrient levels on a daily basis. Modern farming practices deplete the soil of nutrients. When plants are repeatedly grown on the same land, the soil loses nutrients faster than they can be replaced. Over time, the plants have fewer nutrients to grow. Fertilisers contain just enough nutrition for the plant to survive until harvesting, but not enough to support human health. This results in plants that have 75% fewer micronutrients. (“Not On The Label“, p213.) And in addition, most plants are not harvested fresh and they sit on trucks, shelves, and counters for weeks before being eaten. Over time, the nutrient content of these plants decreases. Most modern fruits and vegetables are grown to increase their sugar content as opposed to their nutritional value (8). This then results in most of the common fruits and vegetables being artificially high in fructose and sugar and ultimately lacking in the basic , key nutrients and (9), when plants contain fewer nutrients, the animals that eat these plants also become malnourished. A study published in the Journal of Nutrition and Health found copper levels in the UK have dropped by 90% in dairy, 55% in meat, and 76% in vegetables. Water is also depleted of its mineral content due to modern production methods. There is a massive variation in the mineral content of bottled and tap water and surprisingly, tap water generally has more (10). Water filters remove important minerals such as magnesium (11), which was a main source of magnesium for early humans. If you don’t use a filter and you don’t have a well, it’s likely you’re consuming dangerous amounts of fluoride and/or are deficient in magnesium. This could explain why people who drink water higher in calcium than magnesium develop more myocardial infarctions (12) and ischaemic heart disease (13). This may sound slightly mad, but starving yourself is bad for your health. Consuming a diet that is too low in calories means you’re consuming too few total micronutrients. Humans are designed to consume a large amount of calories (14), and that doesn’t necessarily make you fat. When you eat less (as we are regularly told we should), it’s easy to become malnourished. When you’re consuming low quality foods, you have to eat even more to obtain the right amounts of nutrition. This is one more example of why food quality matters. What do we mean by low calorie? According to a study (15) by the US National Institute for Health (NIH) most diets require 27,575 calories to supply all the essential micronutrients. If you’re eating less than that, and are following something like the USDA diet or the South Beach Diet, you’re deficient in nutrients. Animal foods are generally higher in calories and nutrients, so it’s no surprise that this is where the majority of calorie intake came from in early human development (16). Now the modern trend is to reduce the consumption of animal foods, people are consuming fewer nutrients. Pesticide-treated vegetables are lower in phenolics than organic ones. This is because polyphenols are produced as a defence against bugs and pathogens. 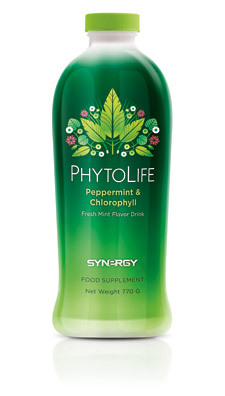 When there is no reason to defend themselves, the plant stops producing polyphenols. There are pesticides and this is despite sometimes being contaminated anyway (17). It should be mentioned that many studies show organic foods are not higher in nutrients. However, that’s going by the Government definition of organic – not “organic” that you would find in your back garden or allotment. Fresh fruits and vegetables grown at home in well fertilised soil are going to be far higher in nutrients than shop bought organic versions. Plants treated with pesticides are also lower in phenolics than organic ones (18). This is because polyphenols are produced as a defence against bugs and pathogens. When there is no reason to defend themselves, the plant stops producing polyphenols. There is also evidence that glyphosate chelates minerals in crops on which it is sprayed (19). It remains to be seen (20) how much of an impact this effect has, but it’s safe to avoid GM foods for a variety of reasons. Unfortunately, organic is not always possible due to financial or logistical reasons. Even when you can find organic foods, they aren’t necessarily better. Compared to grass-fed meat, grain-fed meat is considerably lower in its natural content of antioxidants, micronutrients, fatty acids, vitamins and minerals (21). Grains are not the ideal food for humans or herbivorous animals. When herbivores are fed grains, they become malnourished, just like humans. Grain-fed meat and farmed seafood can also serve as a carrier for more toxins, which increases nutrient needs. Raw, un-pasteurised, unprocessed, full-fat dairy can be good for you (22), but the kind most people buy at the grocery store is not healthy. The majority of nutrients in milk are found in the fat (cream). 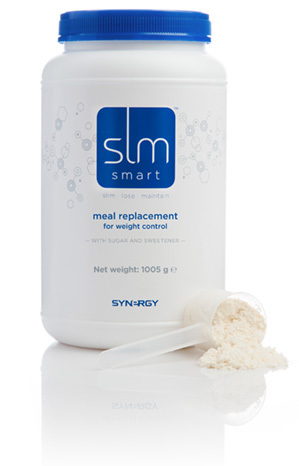 When you remove or reduce the fat, you are removing and reducing the nutrient content. Pasteurisation destroys some of the nutrients in both skim and full fat milk. Standard dairy products are also high in aflatoxin and other mycotoxins that were in the cattle’s feed (23). So, if you eat grain-fed meat or standard dairy products, then supplementation is a very good idea. There is a common misconception that lots of exercise is the key to a long and healthy life (it’s not). And there are many people out there, some athletes included who denounce supplementation as unnecessary, often with the idea that exercise is the best medicine. Unfortunately this is extremely misguided. I don’t recommend high quantities of exercise for the bulk of my clients (24), unless they are training for something in particular, and this is an important point. If you’re doing enough exercise to substantially deplete energy reserves, you’re also burning more nutrients for energy production and recovery afterwards. As a result, athletes and busy professionals in particular are at an even higher risk of nutrient deficiencies. Since many up and coming athletes eat a low nutrient, high toxin diet – this is a serious concern for their development, performance and overall health. Proargi-9+ helps your body to repair and maintain a healthy cardiovascular system, keeping your blood vessels clean and able to relax and dilate fully allowing the maximum amount of oxygenated blood to flow through them. This gets more oxygen to your muscles and organs as well as being more efficient in flushing toxins from your body. With todays fast paced lifestyle, us mere mortals are also at risk as we eat fast and on the move, cope with much more stress, often sleep less and poorly, as well as committing to regular exercise all add up to poor nutrient intake and absorption which has a massive knock on effect on our overall health. This is why supplementation is an absolute must (25). Ageing is a natural process, and it’s not always fun. If there were supplements that could delay this process for you, why would you not take them? (26). As long as there isn’t an undue risk of harm, it’s hard to justify avoiding a substance simply because our ancestors didn’t have access to it. There is good reason to believe a higher intake of nutrients may prolong life. Our hunter-gatherer ancestors may have been malnourished at certain times which is not beneficial. If supplements can buy you a few more years of quality life, why not take them? I have been taking supplements for over 30 years now and ironically I have gone full circle. I started out using Natures Sunshine products and then tried out other companies, on recommendation fro friends etc. I have now come back round to Natures Sunshine and their subsidiary company Synergy Worldwide, whose products I tried and tested over a two year period, and I can hand on heart say that I have not found a more ethical nutrition company with the same standards of researching, sourcing, testing and production quality assurance that Synergy and Natures Sunshine employ. Whether we like it or not, sometimes supplements are cheaper than real food. Sometimes with something like fresh salmon, it can often be healthier for you both physically and financially to supplement with a high quality fish or krill oil than to settle for a farmed variety, because farmed salmon is frequently much lower in its omega-3 content and high in toxins. Farmed salmon are also have higher concentrations of parasites and bacteria. In order to hide the sickly appearance of farmed salmon meat, the fish are fed a pink pigment to change their tissue colour, so just like fruit and vegetables, it’s our own perception of colour and shape that dictate what we buy. If it doesn’t look like we think it should, we won’t buy it and this is all down to the food industries advertising and marketing. Farmed salmon contains about 16 times more PCB’s and pesticides than its wild cousin. Wild salmon is often more expensive than grass-fed beef, and presents more of a health risk than benefit. Grass-fed beef has enough omega-3’s by itself (28), but supplementation may be a good idea for some people (like children and older adults). We live in a stressful, toxin riddled world, and it’s a perfectly normal, healthy,and totally acceptable behaviour to wants to understand what the toxins are in our food and water and how you can counteract their effects whenever possible. Hiding your head in the smoke and mirrors of the government and food industry advertising and also of the diet industry won’t make the effects of these toxins go away. Neither will eating some fruit and vegetables. The idea that you can get all your nutrients from food is fine in theory, but sadly in todays environment it is virtually impossible in practice. 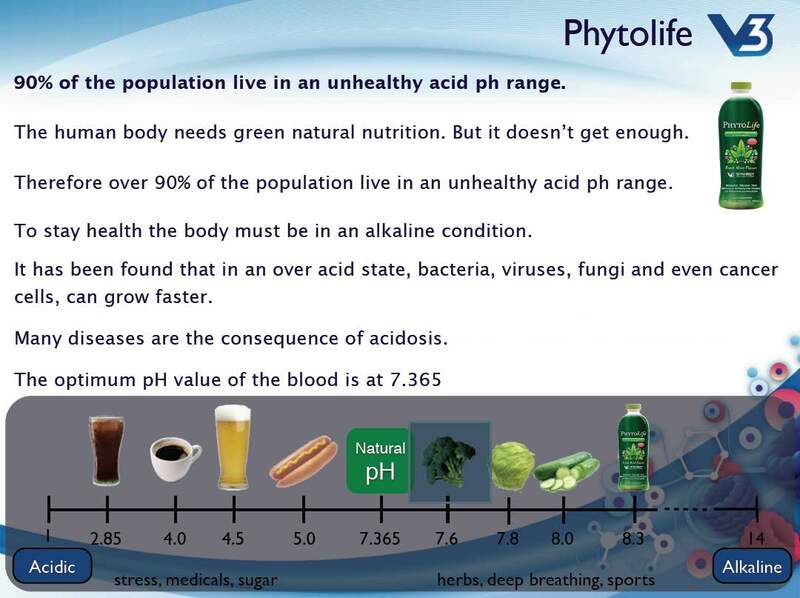 Soil and water depletion, food and environmental toxins, poor absorption, pesticides, exercise, stress, poor sleep and a lack of calories can all cause nutrient deficiencies. There is evidence that consuming nutrients from food is more beneficial than supplements (29), which is why you need to focus on a nutrient rich diet first and foremost. However, it’s rarely enough these days. If you want to be at your best both physically and mentally, supplementation is a fantastic start. Restricting yourself by “only getting your nutrients from food” is not a good idea, even on the Brain2Body System (30). I run Lifestyle Coaching Groups both face to face and online which begin with an in-depth 90 Day program to get you on the right track. The programme works in groups of 10 and each new group does not start until the 10th person joins, so I run a waiting list to keep track of who’s in which group and start dates. The cost of this 90 Day Programme is normally £1,995, however, for the next 30 days, you can sign up and receive all this for just the cost of your 90 days worth of 100% Natural health Supplements, which is a small investment of £445 towards changing your life. The best bit is that you don’t pay out £445 in one go, there is an initial cost of £195 then it’s £125 per month for the next 2 months, so this makes it much easier to budget for it. It actually works out to £4.94 a day, so for less than £5 per day over the 90 days, that’s way less than you would pay for coffee and sandwich etc at lunchtime alone, you get a jam packed 90 days of coaching and learning. And, I am not even charging for my time in this offer, so you are saving another £1,550 by taking advantage of this right now and this is not going to last forever, only 30 days. Just think how much you can learn in 90 days and how many positive changes you can make to set you up for achieving the personal health and fitness goals that you haven’t been able to tick off your list, yet. The 30 day offer starts 1st May and will expire on the 30th May 2015, after that the programme reverts to the full price of £1,995, so take advantage of it while you can at the super low price of £445 for everything listed above. This is a fantastic offer packed absolutely full of high quality, invaluable content, plus a few hidden extras that will be added as the programme progresses.